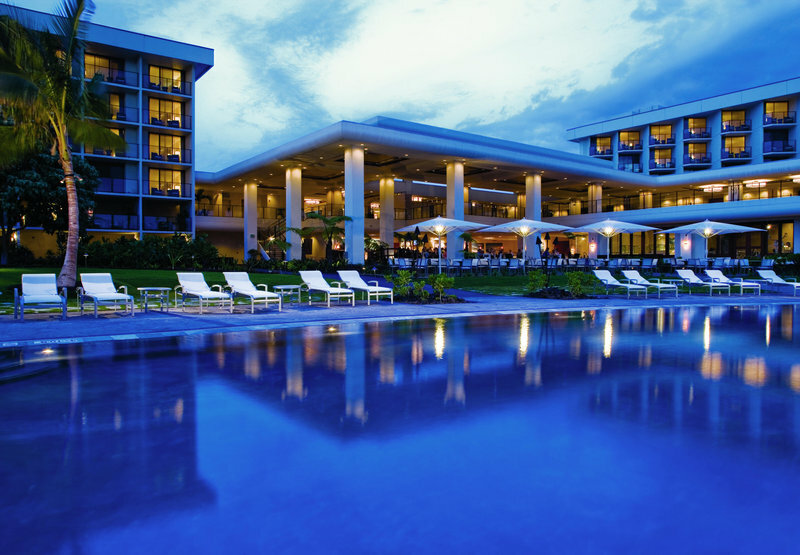 Check Rates & Availability at Waikoloa Beach Marriott Resort & Spa! Our newly redesigned hotel offers spacious, modern accommodations with patios and lanais overlooking beautiful Anaeho'omalu Bay. The transformed Na Hale wing offers an intimate residential experience and are some of the most coveted Big Island guestrooms and suites across the resort. Step out onto our pristine, white, sandy beach - the only one of its kind in our resort area. Play in our three outdoor pools and waterslide. Golf on two 18-hole championship courses within the Waikoloa Beach Resort. Our boutique spa offers a full menu of therapeutic and beauty treatments. When you're hungry, stop by Aka'ula Lanai or Hawaii Calls Restaurant and don't miss our Sunset Luau with music, dancing and Hawaiian cuisine. Enjoy our 24/7 fitness center and free Wi-Fi in all public spaces. Host an event in our elegant venues, ideal for weddings, incentive trips and corporate retreats. Join us for a daily breakfast buffet and a la carte menu at our resort restaurant in Waikoloa Beach. Enjoy salads, sandwiches and tropical drinks poolside at lunch; savor our Pacific Rim and American cuisine for dinner, along with evening cocktails. Savor local flavors at our resort s new coffee & cocktail restaurant concept, Aka ula Lanai. Enjoy grab and go breakfast bites and espresso drinks and linger over small plates and craft cocktails with stunning sunset views of Waikoloa Beach. Immerse yourself in the culture of Waikoloa Beach and the Kohala Coast of Hawaii at our Sunset Luau. Every Monday and Wednesday evening, our resort hosts an evening under the stars with Hawaiian food, musical entertainment and dancing. Enjoy beachside shave ice in tropical fruit flavors.